People go to Sanday or Westray, said the Orkney poet and shell expert Robert Rendall, but they get to North Ronaldsay. 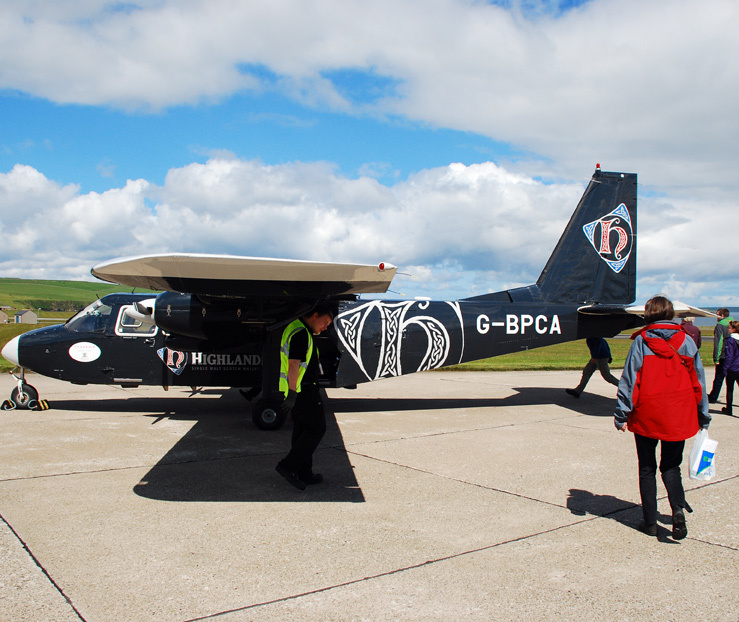 Today there is Loganair’s Islander aircraft to carry passengers and goods on several flights a day, but the shipment of livestock, vehicles and building materials depends on conditions at the pier, where wind and tide can build up heavy seas. For a long time the only option was by steamer, contending with strong tides and broken water. 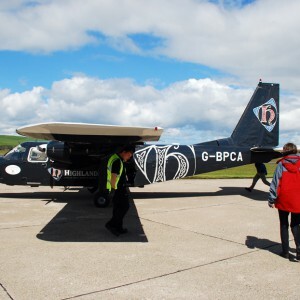 Today the 9-seater plane makes the 15-minute flight several times a day and it’s possible to live in the island and travel to work in Orkney’s main town of Kirkwall. 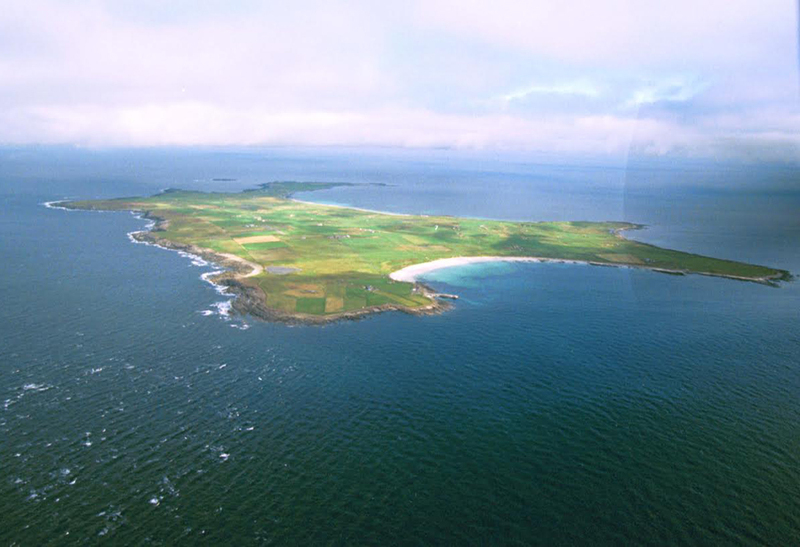 The plane passes over some of Orkney’s other North Isles, with their green fields and great sweeps of sandy beach; and then North Ronaldsay comes into view, with the waves breaking round its twelve miles of coast, and at its northern end the lighthouse, the tallest land-based light in the UK. The detail from the air shows farms and crofts, roads and wind turbines, the school and the bird observatory – and along the coast the long sheep dyke, with sheep on the beach, picking their way amongst the seaweed and sand, watched by gliding fulmars and sometimes seals stretched out on the rocks. The island’s west coast faces the Atlantic and its east the North Sea, and the open water can bring gales and great rolling waves in winter. For migrating birds, North Ronaldsay offers a stepping-stone on a journey between northern latitudes and warmer climes to the south. The sea currents can also at times bring surprises – on one occasion a walrus from the Arctic. 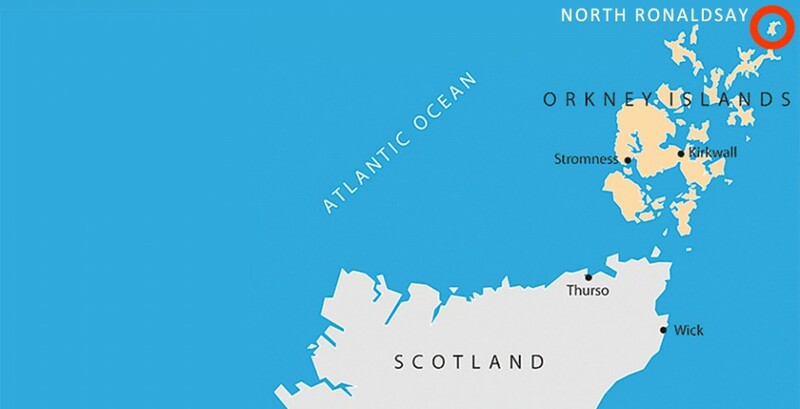 But the main current comes from the south-west – the North Atlantic Drift, carrying enough warmth in its waters to prevent winter temperatures in Orkney falling to those of similar latitudes – such as St Petersburg or Hudson’s Bay. The island itself is a world to explore, with the shore in all its variety, the wild flowers along the roadside, the views on a clear day north across the sea to Fair Isle and Shetland, and the life of the shore, where the waves drive in on winter days. On a cold still winter’s night there can sometimes be the sight of the stars blazing down out of the sky above. ”With no warm glow from street lamps, or intervening hills to blot out the horizon, the island is like a ship floating between dark sea and bright sky, with the moon carving a path through the water,” writes Christine Muir who lives at Garso in the north of the island, in her book Orkney Days. “The wide sweep of the Milky Way is like an eternal spiral, with so many stars that they dazzle us.